New York, N.Y. – The annual $30,000 Rea Award for the Short Story is awarded to JOHN UPDIKE. The Rea Award celebrates its 20th year as the most prestigious award exclusively for short story writing. Michael M. Rea, a passionate reader and collector of short stories, founded the Rea Award for the Short Story in 1986 to be given annually to a living American or Canadian writer whose work has made a “significant contribution to the discipline of the short story as an art form”. The Rea award is unique in that it is not given for a specific book or for a body of work, but rather for artistic achievement, originality and influence on the genre. Mr. Rea, who traced his love of the short story back to his Irish roots noted, “The basic thrust of the award is to foster a literary cause, to ennoble the form, to give it prestige.” Michael M. Rea died in the summer of 1996. Sponsored by the Dungannon Foundation, the Rea Award continues under the direction of Elizabeth Richebourg Rea. How rarely it can be said of any of our great American writers that they have been equally gifted in both long and short forms of fiction. Contemplating John Updike’s monumental achievement in the short story, one is moved to think of Nathaniel Hawthorne, Henry James, Ernest Hemingway, and perhaps William Faulkner–writers whose reputations would be as considerable, or nearly, if their short stories had been all that they had written. From John Updike’s remarkable early story collections The Same Door (1959) and Pigeon Feathers (1962) through his beautifully nuanced stories of family life The Music School (1966), Museums and Women (1972), Problems and Other Stories (1979); from the sardonic, richly funny and unexpectedly tender tales of Henry Bech (Bech: A Book, 1970; Bech Is Back, 1982; Bech At Bay, 1998) to the bittersweet humors of middle-age and beyond of Trust Me (1987),The Afterlife (1994), and Licks Of Love (2000), John Updike has created a body of work in the notoriously difficult form of the short story to set beside those of these distinguished American predecessors. Congratulations and heartfelt thanks are due to John Updike for having brought such pleasure and such illumination to so many readers for so many years. John Updike, whose novels and short stories have brilliantly chronicled the pleasures and frustrations of middle class life for five decades, was born in Shillington, Pennsylvania in 1932. His short stories are published frequently in The New Yorker and are often included in The Best American Short Stories and The O’Henry Prize Stories. In 1999, he edited and wrote the introduction for The Best American Short Stories of the Century. The Early Stories: 1953-1975 was published in 2003 and received the Pen/Faulkner Award for Fiction. 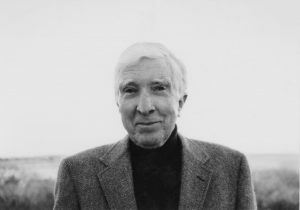 John Updike won the National Book Award for his novel, The Centaur, in 1963 and went on to win the National Book Critics Circle Award, the Pulitzer Prize and the American Book Award for Rabbit is Rich. He was awarded a second Pulitzer Prize and second National Book Critics Circle Award for Rabbit at Rest. He is one of the few people to have won both the National Medal of the Arts (1989) and the National Medal for the Humanities (2003). The $25,000 Rea Award for the Short Story has been awarded to TOBIAS WOLFF. The Rea Award for the Short Story was established in 1986, to honor a writer who has made a significant contribution to the short story as an art form. It is given annually by the Dungannon Foundation to a living U.S. writer. The recipient is nominated and selected by a jury – the award cannot be applied for. Previous winners of the Rea Award for the Short Story are Cynthia Ozick (1986), Robert Coover (1987) and Donald Barthleme (1988). Jurors for the 1989 Rea Award for the Short Story were C. Michael Curtis, senior editor of The Atlantic , Stanley W. Lindberg, editor of The Georgia Review, and novelist and short story writer Joy Williams. "While the contemporary short story appears in many guises and with varied intentions, the most likely shepherd of this variegated flock is Tobias Wolff, a story-teller of relentless curiosity, moral industry and wit. For more than ten years, Wolff has been slowly and steadily producing a body of work that simply cannot be overlooked by serious students and practitioners of the short story." 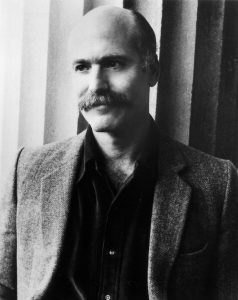 Tobias Wolff is the author of two highly acclaimed short-story collections, In the Garden of the North American Martyrs (1981) and Back in the World (1985). NEW YORK, NY – The Rea Award for the Short Story, a $30,000 annual prize, is awarded this year to JOY WILLIAMS, the author of two acclaimed collections of short stories and a distinct voice in American fiction. The Rea Award for the Short Story was established in 1986 by the late Michael M. Rea to honor a living United States or Canadian writer who has made a significant contribution to the short story form. The award is given not for one specific work, but rather for the writer’s originality and influence on the genre. Michael Rea, who was a passionate reader and collector of short stories as well as a writer, established the award to encourage writers to maintain loyalty to the art of short fiction and to ennoble the form. The award continues under the direction of Mr. Rea’s wife, Elizabeth Richebourg Rea, a photographer and curator. The Rea Award for the Short Story is the only award in the United States exclusively for the short story and is sponsored by the Dungannon Foundation, which Mr. Rea established to administer the award. The recipient is nominated and selected by a jury of distinguished writers. The stories of Joy Williams dissolve the lines between chaos and certainty in our daily lives. A single word or sentence, heartbreakingly familiar yet utterly unexpected, ushers us abruptly out of bounds, off-limits. Because her prose is precise and unyielding, because the possibilities her stories imagine – funny, nasty, subversive, enlightening, scary – are compelling alternatives to the usual spin we put on things, we are seduced, freed to examine the arbitrariness of the particular peace or unpeace we’ve negotiated with the world. But even as it makes us uncomfortable, Joy Williams’ fiction renders more light, more life. A second collection, Escapes, was published in 1990. 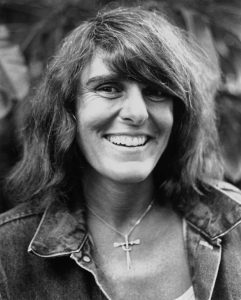 She is also the author of three novels, State of Grace (1973), which was nominated for a National Book Award, The Changeling (1978), and Breaking and Entering (1988). Many of her stories and essays have been anthologized and she has a new novel and collection of short stories forthcoming. 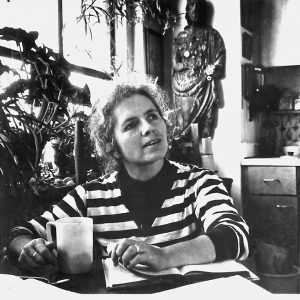 She has been the recipient of many awards and honors, including the Harold and Mildred Strauss Living Award from the American Academy of Arts & Letters. 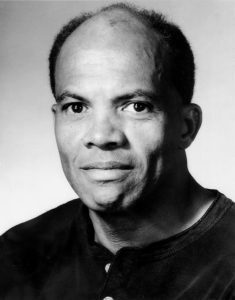 The $30,000 Rea Award for the Short Story has been awarded to JOHN EDGAR WIDEMAN. Sponsored annually by the Dungannon Foundation, the Rea Award was established in 1986 by the late Michael M. Rea to honor a living United States or Canadian writer who has made a significant contribution to the short story form. It was Michael Rea’s desire to encourage writers to maintain loyalty to the art of short fiction. The award continues under the direction of Mr. Rea’s widow, Elizabeth Richebourg Rea, photographer and curator. The only award in the U.S. exclusively for the short story, it is not given for a specific title, but rather for literary power, originality and influence on the genre. The recipient is nominated by a jury of writers. Profoundly honest, eloquently impassioned, the stories of John Edgar Wideman guide us to a place we’ve never been, into that unexplored area of America’s Heartland for which we’ve had no true compass before his own. More than compassionate, Wideman’s stories are like gospel songs sung by a hundred voices, offering praise to life itself. His novels include A Glance Away, Hurry Home, The Lynchers, Hiding Place, Sent For You Yesterday, Philadelphia Fire and The Cattle Killing. He is the author of a memoir, Brothers and Keepers. He received the PEN/Faulkner Award in 1984 for Sent For You Yesterday and in 1990 for Philadelphia Fire. He was awarded the Lannan Literary Fellowship for Fiction in 1991 and the MacArthur Award in 1993. In 1996, he edited the annual anthology, The Best American Short Stories (Houghton Mifflin). His next novel, Two Cities, will be published in September 1998 by Houghton Mifflin which will also reissue the short story collection Damballah, and the novel, Hiding Place, in July 1998. The $25,000 Rea Award for the Short Story has been awarded to EUDORA WELTY. Jurors for the 1992 Rea Award for the Short Story were the novelists and short story writers Russell Banks and Ann Beattie, and L. Rust Hills, who has published work by most of America’s major fiction writers as Fiction Editor of Esquire Magazine. Previous winners of the Rea Award for the Short Story are Cynthia Ozick (1986), Robert Coover (1987), Donald Barthleme (1988), Tobias Wolff (1989), Joyce Carol Oates (1990), and Paul Bowles (1991). 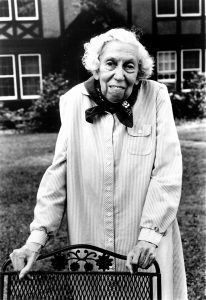 Eudora Welty’s stories of the eccentric, even grotesque characters of a small Mississippi town first came out in the literary magazines, Manuscripts and The Southern Review. Her first short story, “Death of a Traveling Salesman,” appeared in 1936 and is part of her first collection of short stories, A Curtain of Green, which brought her immediate recognition as one of the most gifted American writers. A fiftieth-anniversary edition of A Curtain of Green was published in the fall of 1991 by Harcourt Brace Jovanovich. New York, N.Y. – The annual $30,000 Rea Award for the Short Story honors ELIZABETH SPENCER. Elizabeth Spencer is a permanent and treasured part of the American short story vocabulary. Her stories sparkle with acute and often startling intelligence. They are alert to the otherwise unobserved, vital nuances of our most secret selves. They are witty, frequently mordant, emotionally thorough, and both far-ranging and surprising in their sympathies and in their sharp vision of where our human accounts come due. Nominally — but as a writer only nominally — a Southerner, Spencer has for seven decades set her exquisite stories widely — Italy, Canada, Mississippi. And in so doing, she has crafted stories that read large to us, that relish language, that revel in their delicious verbal (and moral) distinctions, that take liberties and never fail to pay off. It is not at all that Ms. Spencer has lasted as a writer, but rather that she has thrived at the height of her powers to a degree that is unparalleled in modern letters. 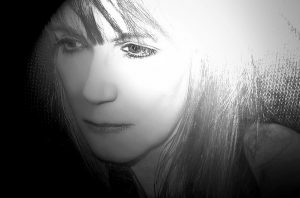 Elizabeth Spencer is the author of eight short story collections and nine novels. Starting Over (2014) is her most recent collection of stories. Other short story book titles include Ship Island and Other Stories (1968); The Stories of Elizabeth Spencer (1981); Marilee (1981); Jack of Diamonds and Other Stories (1988); On the Gulf (1991); The Light in the Piazza and Other Italian Tales (1996); The Southern Woman: New and Selected Fiction (2001). The Light in the Piazza (1960) was made into a Metro-Goldwyn-Mayer movie in 1962 starring Olivia de Havilland, Yvette Mimieux and George Hamilton. The Light in the Piazza was also made into a play and opened on Broadway at Lincoln Center in 2005 winning six Tony Awards. The play toured nationwide until 2007 and is still performed in various locales. Spencer also wrote the play For Lease or Sale (1989). 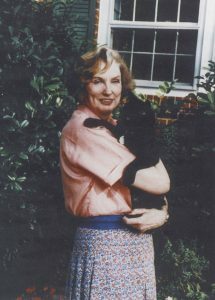 Landscapes of the Heart (1998), a memoir, became the basis of a documentary film entitled Landscapes of the Heart: The Elizabeth Spencer Story. Spencer writes of her work, her life and her long friendship with Eudora Welty, who has said of her work: It has never been doubted that Elizabeth Spencer knows the small, Southern, backwoods hilltown down to the bone. This she transforms by the accuracy of her eye and ear, talent and a certain prankish gaiety of spirit into a vital and absorbing novel. The Voice at the Back of the Door (1956), Spencer’s novel about racial tension in the South was recommended by the Pulitzer Prize Board in 1957. Other novels include Fire in the Morning (1948), This Crooked Way (1952), Knights and Dragons (1965), No Place For an Angel (1967), The Snare (1972), The Salt Line (1984) and The Night Travelers (1991). Five times included in the O. Henry Prize Stories, Elizabeth Spencer has received numerous awards notably the PEN/Malamud Award for the Short Story in 2007. Other awards include the Recognition Award from the American Academy of Arts and Letters in 1952; a Guggenheim Fellowship in 1953; the Kenyon Review Fiction Fellowship (1956-57), the First Rosenthal Award from the American Academy of Arts and Letters in 1957; the Bellaman Award (1968); the Award of Merit Medal for the Short Story from the American Academy in 1983; National Endowments for the Arts Fellowship (1983); the National Endowment for the Arts Senior Fellowship in Literature Grant (1988); the John Dos Passos Award for Literature (1992); the North Carolina Governor’s Award for Literature (1992); The William Faulkner Medal for Literary Excellence, awarded by the Faulkner House Society, New Orleans (2002). She will be presented with the 2014 Sidney Lanier Prize for Southern Literature on April 12 at Mercer University, Macon, Georgia. 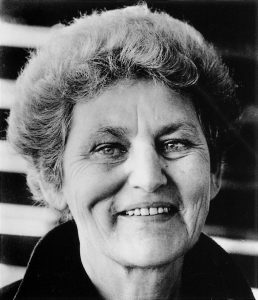 Elizabeth Spencer was elected to the American Academy of Arts and Letters in 1985 and inducted into the North Carolina Hall of Fame for Literature in 2002. She is also a member of PEN Center USA, the Author’s Guild, and is a Charter member of the Fellowship of Southern Writers. Her stories appear regularly in numerous publications including the Atlantic Monthly, the Southern Review, and The New Yorker. Elizabeth Spencer resides in Chapel Hill, North Carolina. New York, N.Y. -The annual $30,000 Rea Award for the Short Story is awarded to JAMES SALTER. American short story writers hold no one in higher esteem than James Salter. He is the most stylish and grave and exact of writers and no one can match the beauty and precision of his prose. One leaves his stories stricken, stripped clean, grateful. His stories have been called imperishable. This is true. Air Force experiences. He also wrote A Sport and a Pastime (1967). Of Light Years (1975) Jhumpa Lahiri writes: “I had certainly never read sentences so precise, so clean, so fervent and yet so calm.” With Solo Faces, Salter achieved writers’ writer status.Writer Richard Ford once wrote,”sentence for sentence, Salter is the master”. Downhill Racer (a 1969 film starring Robert Redford) is one of many screenplays Salter wrote for independent and feature films. Other screenplay titles are The Appointment (1969), Three (1969), Threshold (1981) and a book of poetry, Still Such (1988) along with two memoirs, Burning the Days (1997) and Gods of Tin (2004). 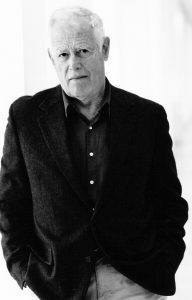 James Salter received the award in literature from the American Academy of Arts and Letters in 1981. In 2000 he was elected a member. In 2010, he received PEN USA’s Lifetime Achievement Award and in April 2011, The Paris Review‘s Hadada Prize. He was also given the Clifton Fadiman Medal for LightYears. Five of Salter’s stories have appeared in The O’Henry Prize Stories and one in Best American Short Stories. Salter lives with his wife, the playwright Kay Eldridge in Bridgehampton,NewYork and Aspen, Colorado. In addition toThe Rea Award for the Short Story, the Dungannon Foundation also sponsors ReaVisiting Writers and ReaVisiting Lecturers at the University ofVirginia, and Selected Shorts:A Celebration of the Short Story at Symphony Space in NewYork City.